Did Peter Fourlas offer to show you ‘For Sale By Owner’ listings? Would you use Peter Fourlas again? Best Realtor EVER! He made the whole process stress free, and was always answering my silly little questions. He sold our house quickly and painlessly. If you want to buy or sell a house, Pete is your guy! Peter made for move from my hometown of 51 years to Regina a very easy and happy experience. He went over and above and I never had to wait more than a few hours for any reply. NOT RECCOMENDED!!! read your contract and do your research before signing. I can't say enough good things about Peter.. He was there to answer any questions that I had 24-7. He was quick to respond when I sent a text message. Love him. Thank you so much Peter. I love love the house you found for me. I am extremely sad that the experience is over. I was my First house and Peter walked me through each step, made recommendations and I needed every bit of knowledge he had. Excellent Realtor!!! Highly recommend!!! As a first time home buyer, he made the process very enjoyable, educational, and stress free. We met Peter at an open house. Great first impression! He did a great job helping us with our purchase. Excellent Realtor! He is the person you can trust and deal with for a long term. Peter was great. He never stopped and more than one said I don't think this is for you. He wanted to ensure all our needs were met and we were going to walk away happy more than making a sale. He also helped us sell our place and we had an offer in no time at all. Overall very helpful, appreciated quick responses to questions. A positive experience overall. Ethical, hard working and most of all, professional. Would recommend to anyone. Peter helped us through the entire process with everything available to him. He really worked for us, and his insights were appreciated. I have recently started working with Peter. He is always willing to lend a hand and give helpful advise. He is proffessional when dealing with co-workers and clients...in addition to that there is a genuine comfort in being around him. I wish you all the success in the world Peter. Peter is always supportive of the clients needs and does whats best for the client. He always has a great attitude and will go the extra mile to make you have a great experience. Highly recommended! Peter has a very outgoing personal, personality. He is very open to helping and friendly every step of the way. I would recommend him to family friends and strangers!! Overall, a fairly good experience. Excellent and very hard working could not ask for anyone better. Very proffessional and extremwly honest and a wonderful person. Would recommend Peter to anyone. Very knowledgeable, helpful and a pleasure to work with! Hard working and diligent. I would recommend Peter to anyone. We were well taken of by Peter, highly recommended. I am a realtor who has worked along side Peter for years and think that he is one of the most dedicated, professional and honest agents that I have the pleasure to know. With relocating to another city and needing to hire someone that I could trust and depend on, there was never a hesitation regarding having Peter list my condo. He did a great job and I would use him every time in buying, selling or just consulting for other professional services. Thanks Peter!! My experience with Peter was excellent. He was very honest and very up front with me. Overall he exceeded my expectations. I highly recommend him to friends and family in search for a realtor. 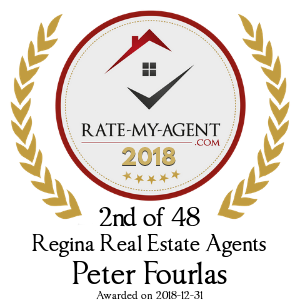 I've used Peter twice now for my buying & selling needs and he is without a doubt one of the top agents in Regina! Honest, reliable, and very informative. If he didn't know something he would look into it and get back to me ASAP. Peter is great to work with. He's open and honest to both sides. I will, without question, recommend him to anyone. Pete was outstanding to work with. He was patient, kind and dedicated. I needed to sell my mom's house after she had passed away. It was an extremely difficult time and Pete made the process easy. I felt valued and respected as his client. I would recommend his services to anyone. Everything worked out in our favor, because of Pete. If you want a dedicated, hard-working and reliable realtor - give Pete Fourlas a call. Pete is the absolute best agent Ive worked with, and the only one that I will happily recommend to anyone without any hesitation. He makes it fun, clear and as easy as the process can be. I like the way that Peter explain about the property and always give you information that you need to know about the property. I would love to share his job with my friends and family. Peter did and organized the disciplined items needed to be done to sell a house as quickly as possible. This included open houses and follow up for feedback on every agent that showed the home. He went above and beyond to also clear some snow during heavy snowfall periods. Pete was great helping us find the perfect home for us, not letting us settle for anything but the best. I felt Peter was an all around excellent realtor. He was genuinely interested in you as a person and treated you with respect. Very patient and genuine. Always responded to enquiries in a timely manner. I never felt rushed or pressured to buy/sell. Peter was thorough in explaining my options for buying/selling etc. I would and have recommended Peter to others. I work in and with the public as well and Peter is one of the few people that I have encountered that still have integrity and is a person of his word. Thanks Peter. I have to also thank his wife, Alex. For she too is very kind and genuine when interacting with people and from what I have seen, has many of the same qualities as Peter. I believe that they compliment eachother and hence, it makes them both better at who they are and what they do. Thank you. Peter is a great realtor--he had my condo cleaned and even left a welcome basket for me to find when I moved in! I would definitely contact him again in the future. BEST agent a person can ask for!! I will never deal with anyone else - if your buying or selling or even just want information, he is the one to see! Thanks Peter! we will see you again!! Pete was beyond valuable and I am thankful that he was there for my first home buying experience! Super friendly and supportive! Peter was just awesome throughout the whole process, from the initial meeting through to closing the deal I knew I was in good hands. He even bought me a housewarming basket which was a really nice touch. I fully recommend Peter and will definitely refer friends, family, and acquaintances to him! Peter was very professional and very friendly to work with. He was always available when we needed him before and after purchasing our home. Thank you again Peter! Peter did a good job in both the buying and selling process. He is always quick to respond to questions and requests, maintained excellent professionalism throughout the process and was very thorough in everything he did. I look forward to doing business with Peter again in the future. Peter was a fantastic realtor who really paid attention to our needs and wishlist. He made sure that we were comfortable with all of our decisions every step of the way. We really felt like he had our best interests in mind. Thanks Peter! Love the new home! Peter made the process simple and stress free. Knows what to look for in a house, and has no problem telling you when the house you're interested in has serious issues. As a realtor, Peter Fourlas, anticipates your needs and presents viable, and tailored properties for viewing. He is very knowledgeable and caring in his approach to his clients and his business. I found him to be very friendly, considerate and extremely helpful in helping me. Peter was a great agent for us as first time home buyers. He was extremely eager to help us in choosing our first home. He was very knowledgeable, patient, professional, friendly, reliable and was not overly aggressive during the process. Would recommend Peter to anyone. Peter was great to work with. Always answered my calls and my questions. Made it clear that he would not accept any offers or put me anywhere that he would not imagine himself and his family living. It was refreshing to work with him. HIGHLY RECOMMENDED!!! I have had bad experiences before and working with Pete changed my opinion on the Real Estate profession. He was patient with me and worked with me for a long time while we looked for our perfect home. He didn't mind meeting me on my schedule whether late at night or on the weekend. He was easy to get a hold of and answered all my questions. Peter was there for me every step of the way when I was selling my home, I have nothing but good things to say about my interaction with Peter and his professionalism was outstanding! I really got to know Peter and that was a nice added touch to our business transaction, in the end I also gained a friend. I think you need to feel comfortable with who you work with and I am very thankful for Peter making this situation that way for me, selling my home was a very hard decision since I had lived there for so long. Thanks again Pete! I chose Peter to be my Realtor based on past client recommendations from this site and I could not have been more pleased with the service! As a first time home buyer, I had very little knowledge, and lot's of questions. Peter took the time to answer all my questions, explain the process, and find me a solid house at a great price that had everything I wanted! On top of that, he hooked me up with a fantastic mortgage broker, and helped me arrange the lawyer services. When I eventually sell, Peter is the realtor I will choose to list with--he is passionate, well-connected, and works exceedingly hard to meet expectations and maintain his outstanding reputation. Thanks again Peter for the great experince! FANTASTIC EXPERIENCE ! (my apologies for repeating this rating--something happened with my ratings on the previous response (below)--Peter's understanding, helpfulness, responsiveness, and attitude are definitely applicable!) 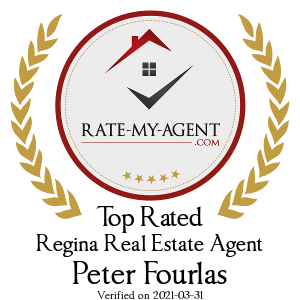 I chose Peter to be my Realtor based on past client recommendations from this site and I could not have been more pleased with the service! As a first time home buyer, I had very little knowledge, and lot's of questions. Peter took the time to answer all my questions, explain the process, and find me a solid house at a great price that had everything I wanted! On top of that, he hooked me up with a fantastic mortgage broker, and helped me arrange the lawyer services. When I eventually sell, Peter is the realtor I will choose to list with--he is passionate, well-connected, and works exceedingly hard to meet expectations and maintain his outstanding reputation. Prompt. Professional. Smart. Friendly. Genuinely caring. 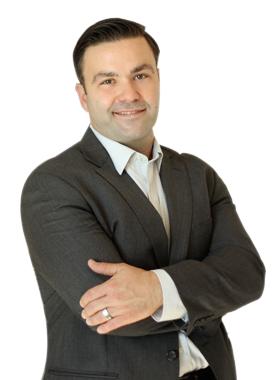 I am a realtor who worked with Peter for years in Regina and have now relocated back to my hometown of Winnipeg. Peter is hands down one of the best agents I have ever had the opportunity to work with and refer clients to. I wouldn't even blink about allowing him to represent me and when I moved away from Regina and needed someone to deal with my condo selling there, he treated it like it was his own and from start to finish made everything perfect. Thank you Peter. All around great agent. Would use again and reccomend. Peter provides a very professional service that had us both feeling comfortable and at ease. He is very knowledgeable and has great resources to draw from. He worked around the clock to find us the perfect property. I would highly recommend Peter as an agent and would definitely work with him again in the future. Peter was more than helpful and accommodating when we were looking for a home with specific interests in mind. Pete was so awesome to deal with. He definitely made it a fun and surprisingly stress-free experience! We have and will continue to recommend him to our family and friends in the future! Peter was fantastic as my agent in purchasing my first home. When issues arose, Peter did everything in his power to fix them. HIGHLY RECOMMENDED!!! Peter did a fantastic job selling our old house within a week and getting the price we wanted then he got us in the perfect new house for much less than we expected to pay. Thank you Peter I'd recommend you to anyone. Peter was not only professional and courteous but was also patient and willing to listen to my needs and provide his services accordingly. Besides this he knows a lot about the market and for what to look for in houses. I would recommend Peter to anyone. Peter was very helpful in helping me buy a house when I had little knowledge of the market. He was honest and willing to point out any issues to ensure I found the right house. Definitely recommend!